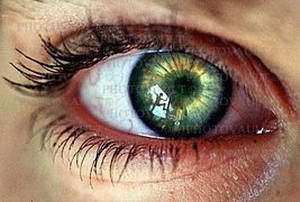 Scientists at MD Biotech in Morgantown, West Virginia, are working on “binoculars” that scan your retinas for more than just your identity. Dr. Chris Kolanko, the founder of MD Biotech, has created an Optical Scanning Instrument (OSI) that can reveal a whole host of medical problems. In the prototype, what looks like an oversized pair of binoculars scans your eye as you look through the "wrong" end. The OSI takes snapshots of the inside of your eye. Then, the snapshots are analyzed using algorithms developed from healthy and unhealthy eyes. Each algorithm evaluates small variations in eye movements, pupil size, retinal blood vessels, infections, and corneal abnormalities to determine a match to a particular illness. Since the technology was first developed for the Department of Defense’s Defense Advanced Research Projects Agency (DARPA), the algorithms forexposure to toxins used in chemical warfare have already been developed. In the civilian world, those same algorithms could be used for exposure to toxic waste. Other algorithms that could be used right away include those for head trauma, carbon monoxide, cyanide, high blood pressure, diabetic retinopathy, and some neurological disorders. However, many health problems show up in your eyes, potentially creating non-invasive tests for everything from cocaine to sickle cell anemia. Cocaine, alcohol, and other drugs can make the OSI a non-invasive drug test. Infectious diseases such as malaria, AIDS, syphilis, Lyme disease, and chicken pox all show up in your eyes. Interestingly enough, so does pregnancy–no more pink lines. Later on, premature births and malnutrition show up in the eyes. Even genetic diseases like leukemia, lymphoma, Stevens-Johnson syndrome, and sickle cell anemia affect the eyes. In addition, your eyes show signs of chronic health conditions like bleeding or clotting disorders, congestive heart failure, arthrosclerosis, and high and low cholesterol. Other poisons like botulism manifest themselves in the eyes, too. OSI has been successfully demonstrated at trade shows from Tennessee to Poland. Though MD Biotech was founded in 2001, it is currently looking for venture capital to move from the prototype stage to a mass-produced diagnostic device. In the meantime, MD Biotech is working with West Virginia University's Eye Institute to develop more algorithms and perfect the technology. The ultimate aim is for the OSI to be a handheld gadget that practically anyone can use to diagnose serious illnesses. According to the WVU Alumni magazine, "You won't have to be a PhD," Kolanko said. "The idea is to get this in the hands of anyone." Why are children so good at learning languages?